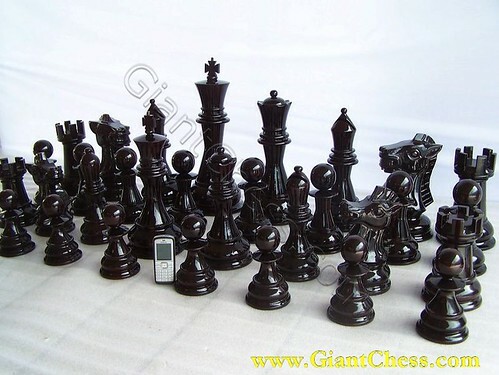 This big chess pieces is perfect for decorate your outdoor space such as; garden, yard, patio, and the other. It made of Teak wood and very durable for outdoor use, because our main material through in selection way to get the best Teak wood and also has dried. The picture is showing wooden big chess set that painted in brown or natural wood.